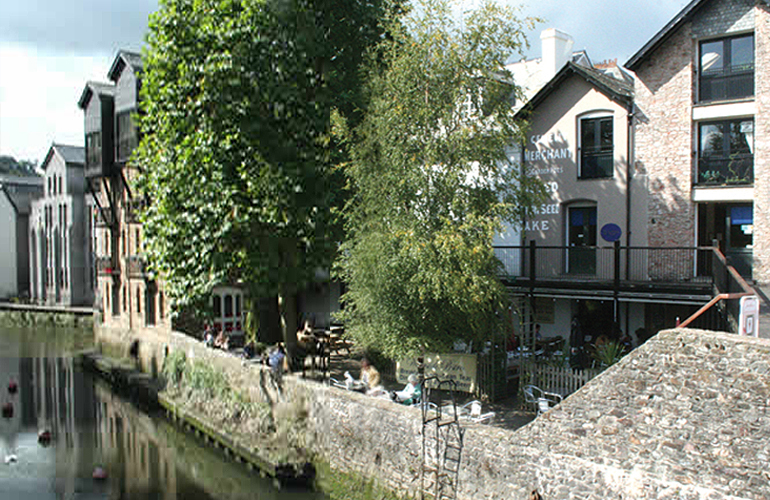 Situated on the ancient Narrows in the heart of the historic market town of Totnes. Close to shops, bustling markets and excellent restaurants making it an ideal base to explore this exciting and cosmopolitan town. It’s also convenient for walks following the River Dart to Ashprington and to Dartington Hall. There are two flats available. Both are comfortable one bedroomed flats on the second floor over shops and owner’s accommodation. Both flats contain a lounge/diner with TV, separate newly fitted kitchen with all mod cons and bathroom with bath and shower. Flat 2 has a spacious bedroom with beams and comfy double bed and lounge area with views overlooking over the beautiful historic Narrows. Flat 3 has twin beds and a living area. Linens and electricity included. 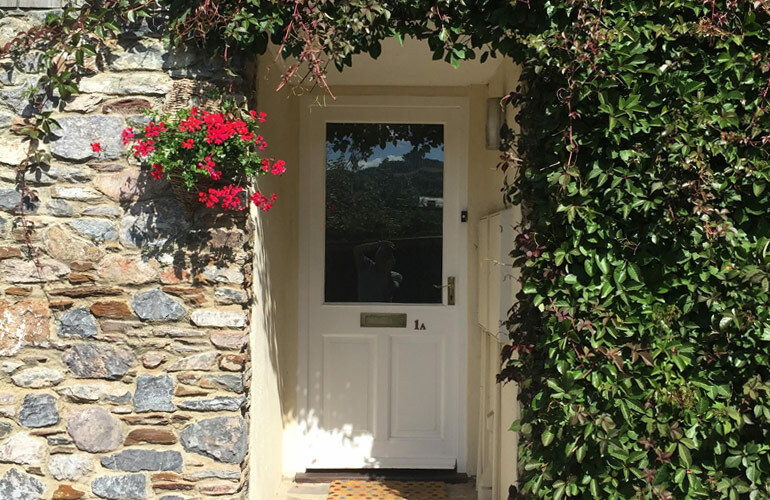 Aish Cross, award winning cottages, are situated in the small hamlet of Aish (Totnes 2 miles) - an area of outstanding beauty and an ideal location for exploring the coast and countryside. 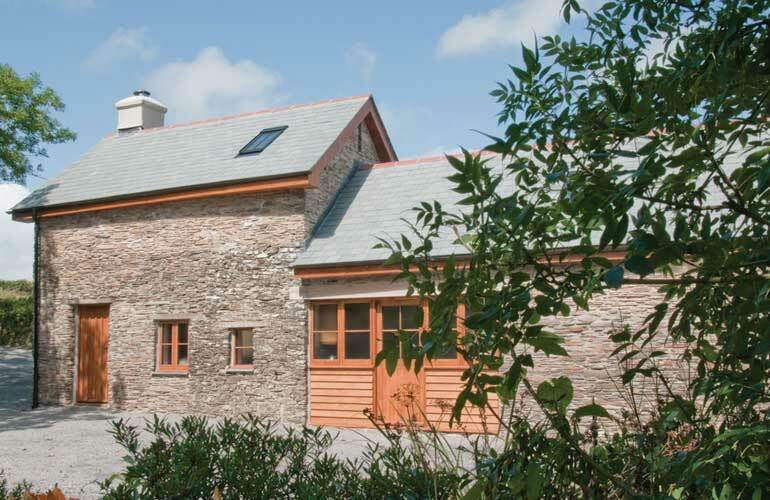 The Coach House (sleeps up to six), The Stable and The Hayloft (both sleep up to four). All offer a very high standard of accommodation, with plenty of character. Throughout April, Aish Cross Holiday Cottages are offering 15% discount on all bookings of 7 days or more – saving between £117 and £151. 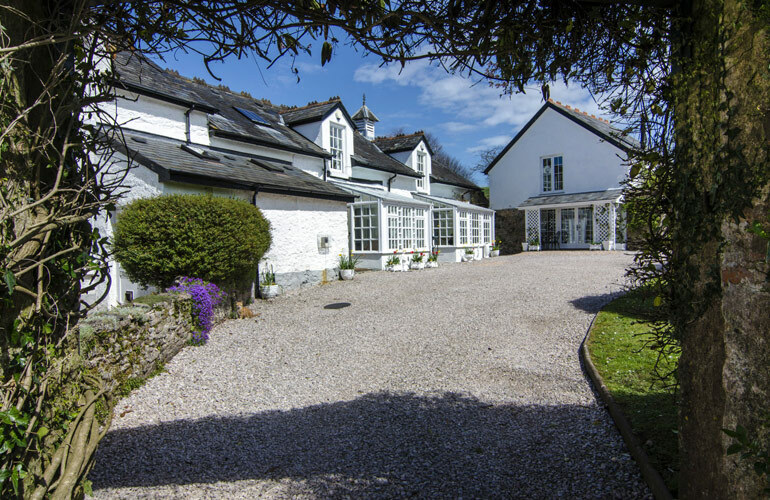 Prices include a Welcome Hamper of local produce and a Devonshire cream tea on arrival. Contact the owners for more information. 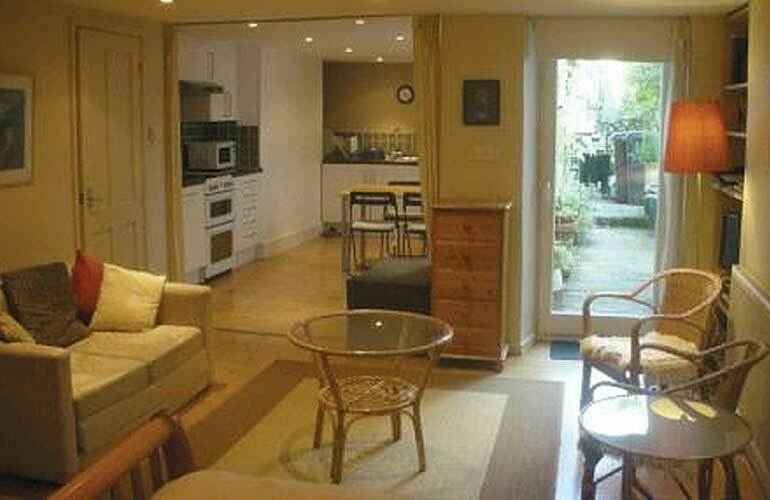 A spacious garden studio flat, with terrace; shared use of garden. Fully equipped kitchen, en-suite double bedroom and sofa bed. Co-sleeping baby cot available; also extra single bed if needed. Two cautions: we have cats, in case you are allergic to them; there is no mobile signal in the flat – so you would need to go outside to make a call, unless your phone is enabled to make calls via wifi. 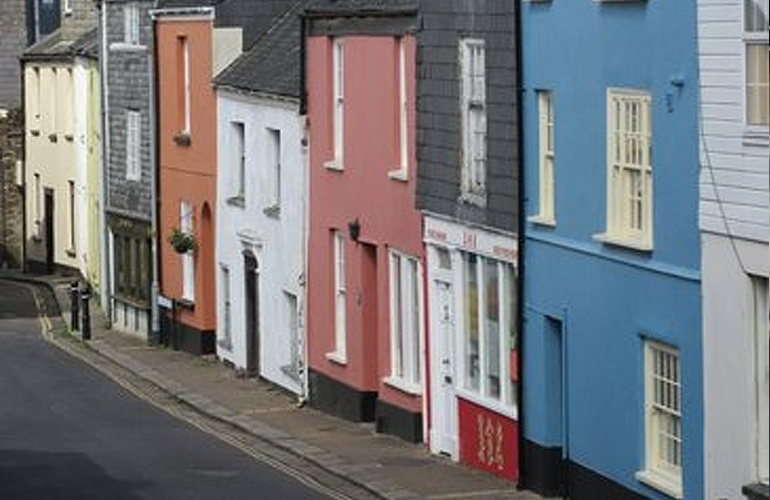 Ideal location: we are situated at the bottom of Castle Street, a 2 minute walk from Totnes Station; a 3 minute walk to the town centre; 5 minute walk to the River Dart. 35 minute walk to Dartington along River. Bed & Breakfast Room also available. Jack’s is a beautifully presented and very well equipped detached barn set in 300 acres of farmland which you are welcome to enjoy. 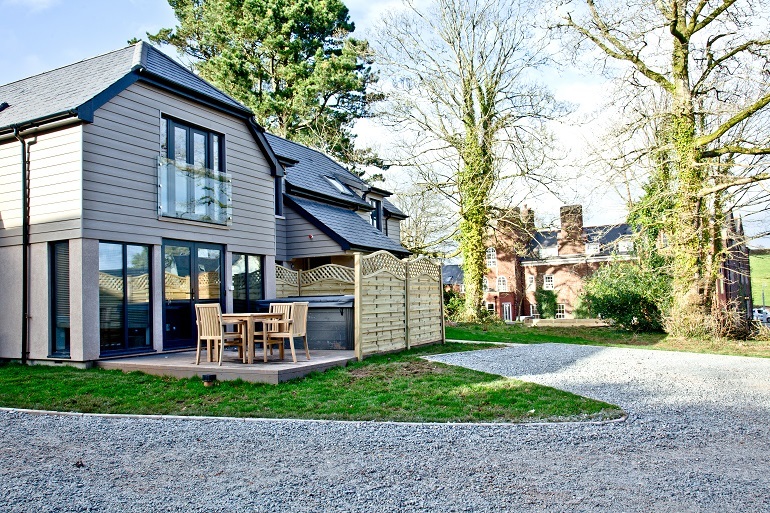 The cottage overlooks the rolling Devon hills. The barn was fully converted in 2009 to the very highest standards and is ideally suited to either a young family or couples looking for a peaceful retreat in an area of unspoilt natural beauty. Two double en-suite bedrooms, one king and one super king (or 2 singles). Oil fired central heating and woodburner, instant hot water. B&B at Foales Leigh Farm is also available. Beautifully renovated cosy listed townhouse - perfect location at top of historic Totnes with independent shops, cafes, pubs. Close to railway station, river, moor and coast. 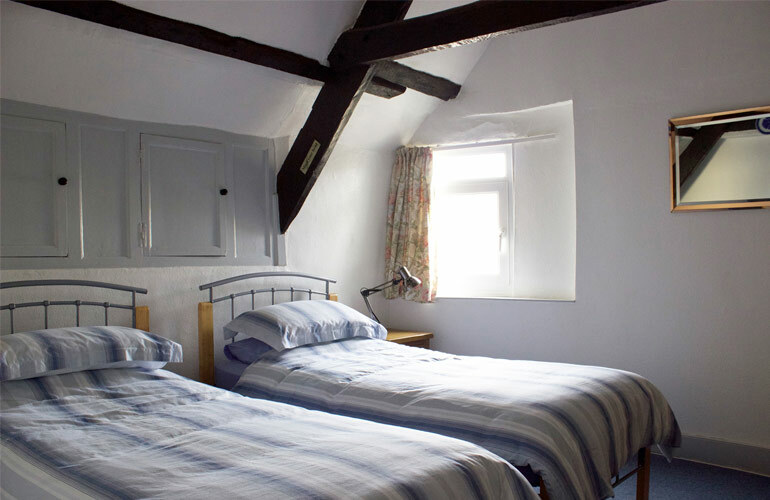 Sleeps 5: 2 double and 1 single room. Comfortable sitting room with log burner and TV/DVD. Fully equipped kitchen; excellent bathroom. Metered gas/electricity. Linen provided. Steep stairs. *Short breaks out of season only. Beautifully renovated, two bedroom, 500 year old cottage. Sleeps four. Quiet location, close to High Street. Wood flooring, a lovely home from home. Fully-equipped kitchen, TV, DVD player, free WiFi internet. Excellent bath and shower. Central heating for winter stays. All linen and towels provided. Charming garden.Private parking. No Smoking. You’ll fall in love with cottage and town. “We’ve stayed from New Zealand to Sweden, Alaska to Chile. This is the best equipped. All comforts of home. Thank you so much.” AP from USA. Town centre but riverside location with a stunning river view! Close to all amenities and an excellent base for touring South Devon, Dartmoor and boarding the Totnes - Dartmouth ferry (seasonal). This lovely second floor apartment sleeps 4 and comprises 2 double/twin bedrooms, kitchen, large lounge/diner and bathroom. Nearby are unique shops, pubs and bistros. Short breaks possible. 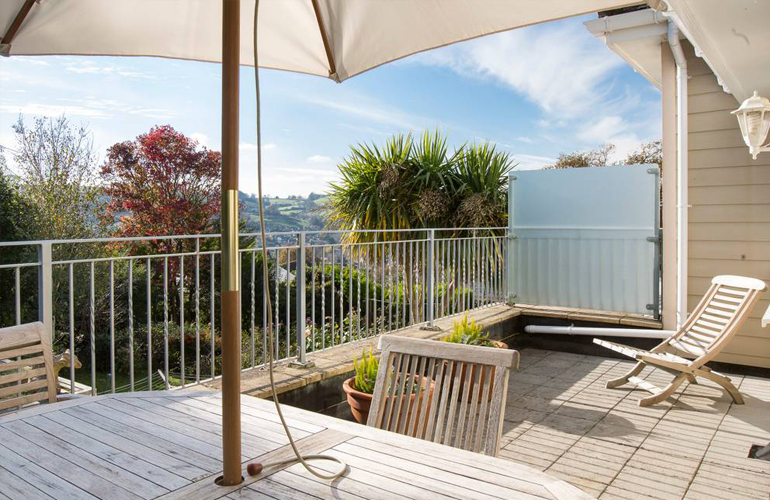 The spacious lounge/dining room with vaulted ceiling in this two bedroom upside down house boasts great views of Totnes and the River Dart. 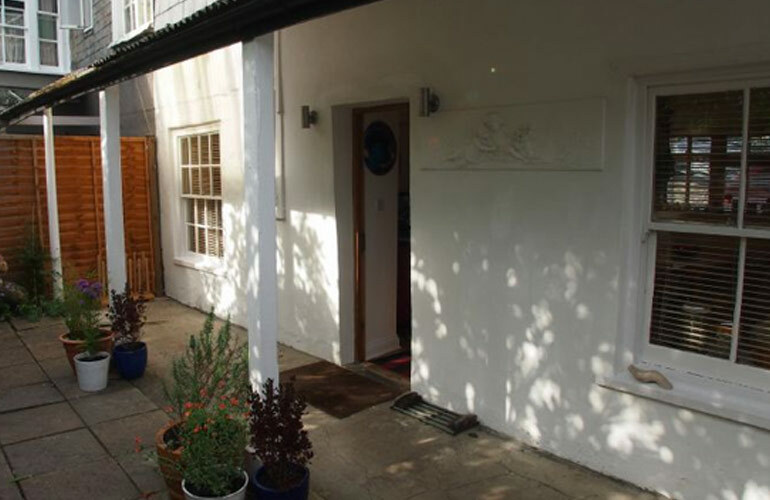 Easy walking distance of the railway station and Totnes centre in a quiet location. Sleeps four (one double, one twin) separate kitchen. Secluded garden with overlooking balcony. Open all year with short breaks available out of high season. To get news and offers, please sign up to our newsletter!